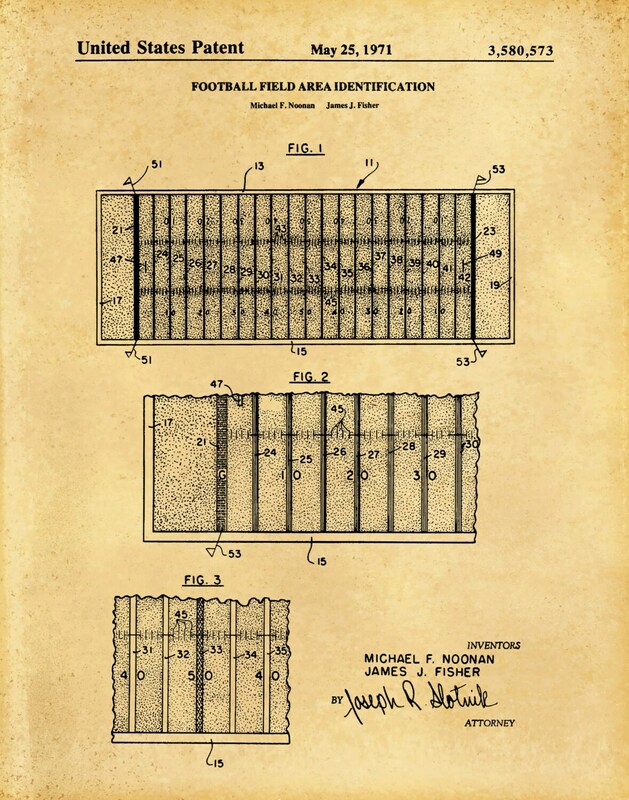 1971 Football Field Layout Patent invented by Michael Noonan and James Fisher. 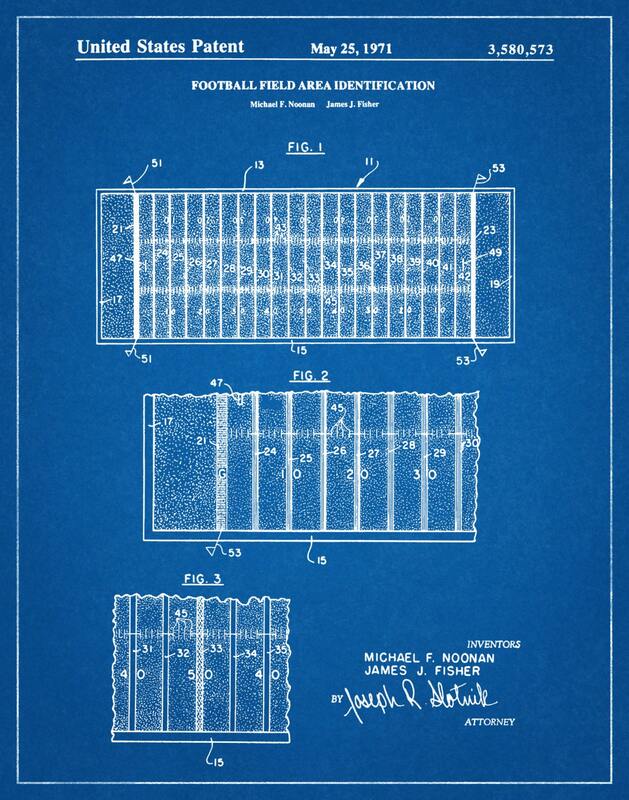 The United States Patent Office and Trademark office issued the patent on May 25, 1971. High quality! 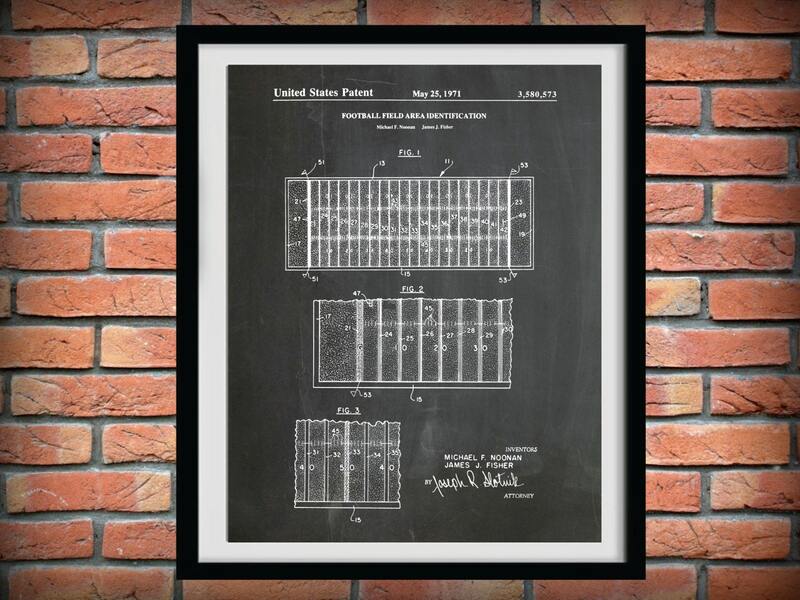 Very nice print! The prints are great! 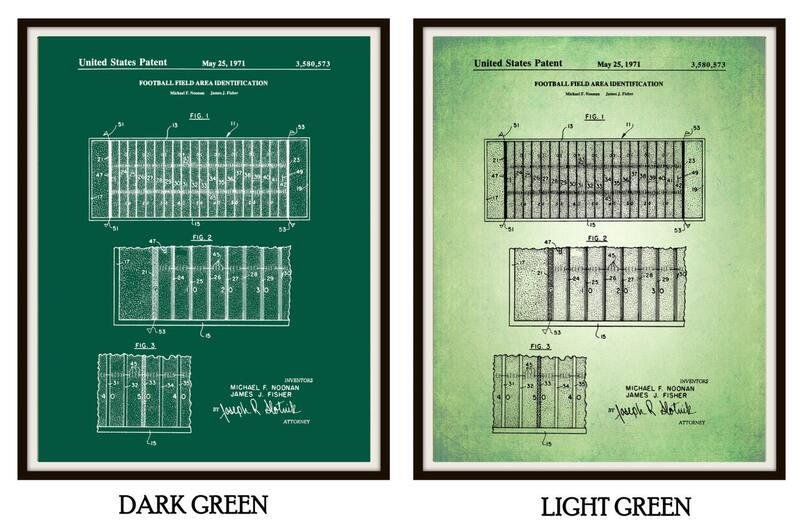 I framed them and hung them in my teenage sons football themed room, they look terrific!